Gossip Girl is an American television series that aired Sept. 19, 2007 through Dec. 17, 2012 on The CW. 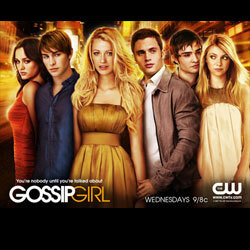 The series stars actors: Chance Crawford, Blake Lively, Taylor Momsen, Ed Westwick, Jessica Szohr, and Leighton Meester. The show was based on the book series of the same name written by Cecily von Ziegesar, and created by Josh Schwartz and Stephanie Savage. The six seasons revolved around the lives of upper-class students living in the Upper East Side of Manhattan and narrated by the "Gossip Girl" blogger, voiced by Kristen Bell. 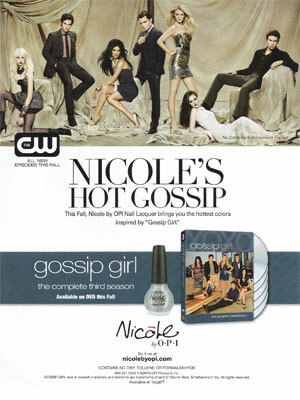 In 2010 a line of nail polish colors by OPI was named after the series.